I did this last year too. This was one of my lightest guiding years since diving in in 2005. In 2013 I took time off to climb in the Palisades with Ian and time off to finish my IFMGA certification. I took almost a month off to go to Florida and Alaska in early summer. I took a full 7 days off in the middle of July to climb for fun. In the fall I took a great deal of time to travel and rock climb and initiate more formalized fitness. It adds up to 19 weeks of intentional time off work. 16 of those were single day trips. 2 trips were 2 days long. 19 were 3 days and 2 nights. 3 trips were 4 days. And 1 was 5 days long. For a total of 94 days guiding. A new category deserves mention this year: Five of the trips I worked were with new folks who came directly to me. 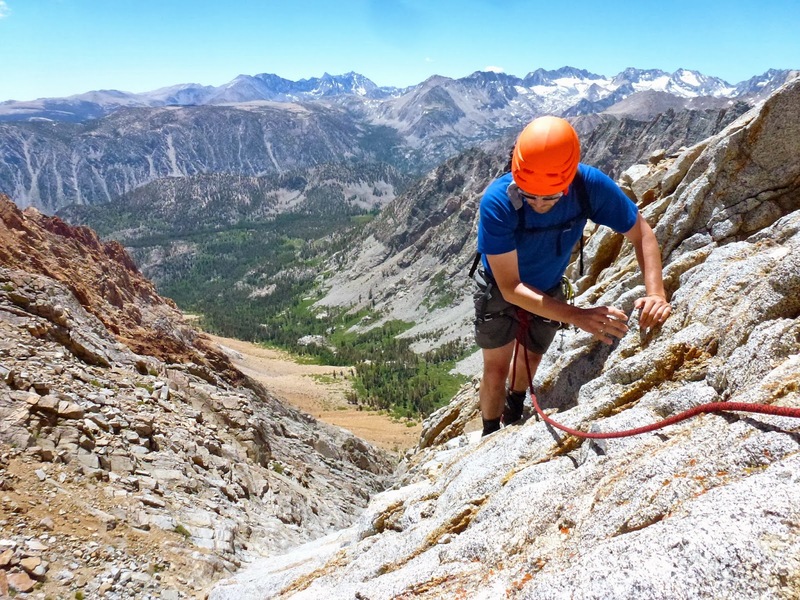 Either via word of mouth, or via my website, these people found me independent of Sierra Mountain Guides. 20 trips with returning clients plus 5 new folks directly to me means that 16 of my trips came off the SMG marketing program. On 18 trips the primary objective was education of some sort. "Success" on trips of this fashion is difficult to quantify. Of the 26 trips that had specific objectives (Peak or peaks or a specific route or routes), in some cases in addition to education, we attained all of those objectives completely 16 times. On three of the 16 "successful" trips, I noted that we accomplished everything we set out to do, and then something more. This year: 62% success percentage. 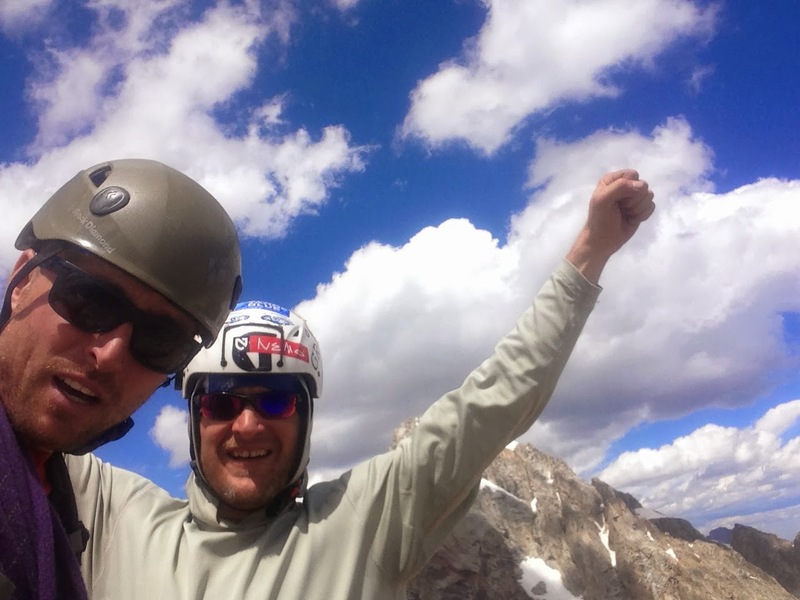 Jon A and I at the end of the Grand Traverse, Wyoming. On 34 trips I noted just "clear and sunny" weather. On 6 trips it rained or hailed. On one(!) trip it snowed. That means that on the remainder (29) the temperatures seemed "normal" to me. In other work, I substitute taught 16 days and completed 5 full OutdoorGearLab reviews. Here's what I noticed: 3 times I reviewed this post and found that this guy is 100% badass.